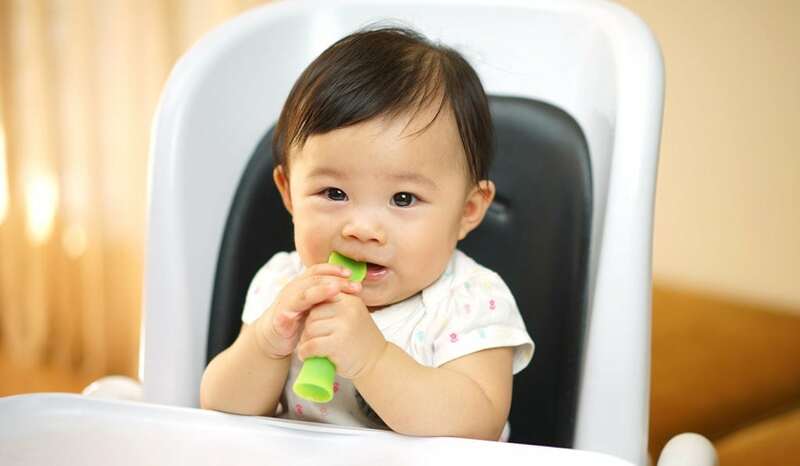 The Olababy Training Spoon, made from 100% silicone, is a spoon designed as babies’ first self-feeding spoon. The leafy shape of the tip combined with the flexibility of the silicone material allows the spoon to flex. Babies can perform various motions such as scooping, cutting and slicing with ease. The stem of the silicone spoons are decorated with protruding lines to resemble natural shape of vegetation stems to provide a better grip.